If we do this divorce right, will it be easy? Should I get a lawyer right away? How do I get started with divorce mediation? What if our divorce is high conflict? How does the meditation process work? Is a mediated settlement the same as a legal settlement? Does the most powerful person in the relationship always win? How do you determine spousal maintenance/alimony? Is there a custody arrangement that reduces conflict in the future? By law, do mothers have greater custody rights? I’ve heard that I if I move out of the house I’ll have abandoned my children. Is that right? Don’t see the answer to your question? Try Parenting After Divorce or Separation FAQS or Contact Amber to ask your question. 1. IF WE DO THIS DIVORCE RIGHT, WILL IT BE EASY? 2. SHOULD I GET A LAWYER RIGHT AWAY? 3. WHY SHOULD I CONSIDER MEDIATION FOR MY DIVORCE? 4. HOW MUCH DOES MEDIATION COST? It is also important to remember that costs are not only financial. The transactional costs of an adversarial divorce are hard to measure. Although stress, anxiety, depression and conflict are common realities of divorce, the mediation process is structured to reduce these negative non-monetary costs, especially for the children. Specific fee information is available by phone and during the free consultation. 5. HOW LONG DOES MEDIATION TAKE? 6. HOW DO I GET STARTED WITH DIVORCE MEDIATION? 7. 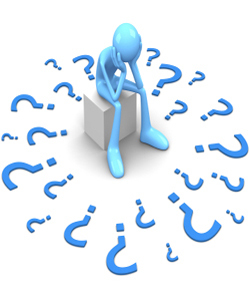 WHAT IF MY CASE IS TOO COMPLICATED FOR MEDIATION? 8. WHAT IF OUR DIVORCE IS HIGH CONFLICT? 9. WHAT DOES THE MEDIATOR DO? 10. HOW DOES THE MEDIATION PROCESS WORK? Detailed process information is available by phone and is discussed during the free consultation. 11. IS A MEDIATED SETTLEMENT THE SAME AS A LEGAL SETTLEMENT? 12. DON’T I NEED A JUDGE TO DETERMINE WHAT IS FAIR? 13. DOES THE MOST POWERFUL PERSON IN THE RELATIONSHIP ALWAYS WIN IN A DIVORCE? Yes. MN Rule 114 protects mediation discussions, communications and notes from being discovered and used as evidence in court as well as prevents a mediator from being called as a witness in a trial. What happens in mediation is as confidential as settlement negotiations between lawyers and their clients. 15. HOW DO YOU DETERMINE CHILD SUPPORT? 16. HOW DO YOU DETERMINE SPOUSAL MAINTENANCE/ALIMONY? 17. HOW DO YOU DIVIDE PROPERTY? 18. IS THERE A CUSTODY ARRANGEMENT THAT REDUCES CONFLICT IN THE FUTURE? 19. BY LAW, DO MOTHERS HAVE GREATER CUSTODY RIGHTS? 20. I’VE HEARD THAT I IF I MOVE OUT OF THE HOUSE I’LL HAVE ABANDONED MY CHILDREN. IS THAT RIGHT?